IMPORTANT NOTICE: As of October 1st, 2017 No new USA players will be accepted for Real or Fun play. Existing USA players will still be allowed to play therfore you should at least register an account prior to October 1st, 2017 if you want to play for real or fun. Slots Village Casino and their sister Bingo Parlors are the only casinos we recommend running the Parlay Group game software. 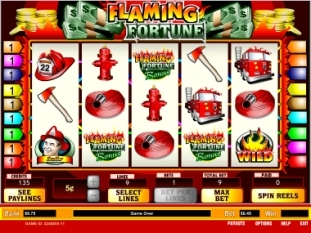 Slots Village has been online since 2005 and boasts an incredible 98% slot payback. 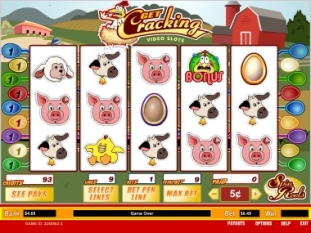 They have increased their game line up with fun video slots from Pragmatic Play and Betsoft. At Slots Village Casino you can play a variety of video slots, jackpot slots, 1 and 3 payline classic slots as well as blackjack, video poker, caribbean poker, roulette, craps, keno and pull tab games. 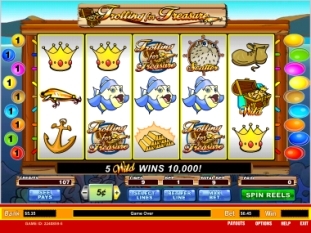 Many of the slot games offer top payouts from $50,000 to $200,000. Players from USA, Australia, Canada, UK, Italy, Greece, South Africa and Europe are welcome to play for real money. • Slots Village offers new players a $25 freebie when joining and a generous 300% deposit bonus up to $300 and a $25 birthday bonus if you let them know when its your birthday! Refer friends or family members and they will be compensated with the Slots Village referral program bonus of 20% on every deposit for up to 120 days (restrictions apply, read the terms). The best bonuses and promotional offers at Slots Village are in the newsletter so make sure you visit the promotions page and click the newsletter link! • Slots Village also offers Cash Giveaways, Gifts, Prizes, Daily, Weekly and Monthly Special Bonus Promotions plus Mystery Bonuses and Slot Tournaments, High rollers are awarded special VIP promotions. • Deposit methods include Visa, Mastercard debit/credit and American Express for most players including USA. Other popular deposit methods Slots Village accepts include E-Check, EcoCard, NETeller Wire Transfers. All transactions for SlotsVillage are completely secure and processed in US Dollars and processed through Winward Hall Ltd NSC Campus located in Cork, Mahon Co., Ireland. 5 Reels, 9 Paylines, Wager 5¢ to $5 Top Prize: 10,000 coins! 5 Reels, 9 Paylines, Wager 5¢ to $5 Top Prize: 200,000 coins!